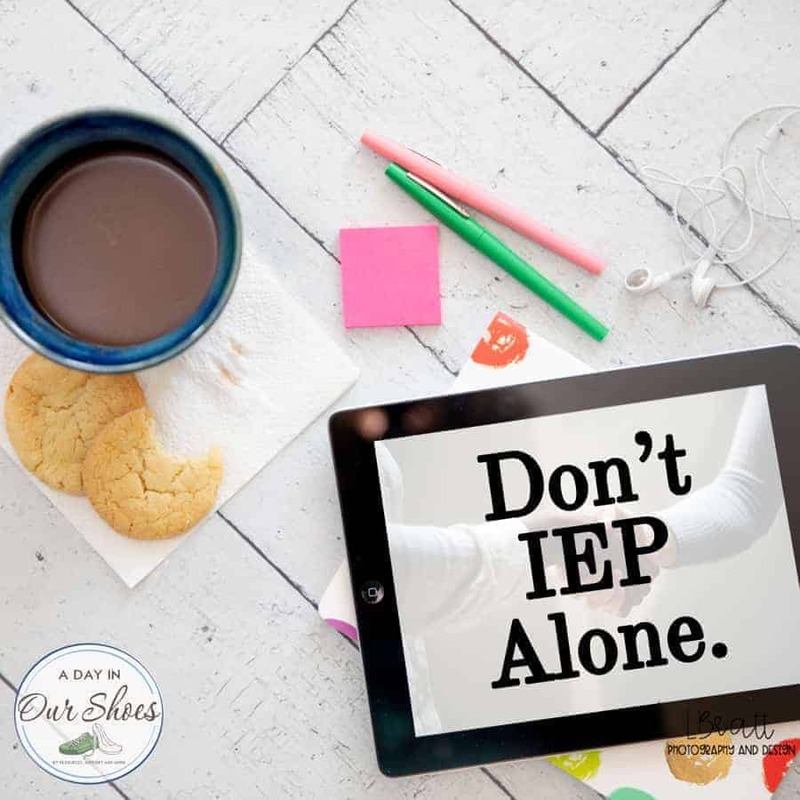 What happens if your child does not meet their IEP goals? Home » IEP Advice for Parents » What happens if your child does not meet their IEP goals? Ah, progress monitoring. I find it to be one of the most difficult areas of the IEP, as it pertains to parents. First, the data you receive usually isn’t that frequent. Most IEPs say you’ll receive data 3-4 times a year, tops. Then, when you do receive it, most parents (myself included, sometimes!) read the report and toss it aside. If the IEP goal is not included in the progress monitoring report, how many of us actually go dig out our IEPs to compare it? Not many. And then, find yourself preparing for another annual IEP meeting and realize that your child is not meeting their IEP goals. So what do you do? First of all, shameless plug and side note. Tracking IEP goals can be difficult. Goals ‘disappear’ from IEPs from year to year. It’s difficult to remember everything that transpired in the past year. However, I have created a system to help parents monitor their IEP and goals. And it’s really cheap. That can certainly help you monitor problems in the future. But, let’s deal with the here and now. First, ok, not teacher bashing. Please don’t accuse me as such. But this is an area where I find that schools really drop the ball. Because it should come as a surprise to no one at annual IEP time, that a child is not going to achieve the goals. If a team is gathering data throughout the school year, and using the progress monitoring in place, then they would see that the child is not on track to meet the goals. And, they would call a team meeting to revise the IEP. Because that is what is supposed to happen. And it rarely does. Many times the team doesn’t even discuss this and just puts the same goals on the IEP for the next year. An IEP goal that is not met gives me lots of information. It tells me three things. Perhaps that goal was inappropriate for the child. The goal was chosen based on faulty or incomplete data. Supports and services that are in place to help the child achieve that goal are either insufficient or not being administered with fidelity. Remember, an unmet IEP goal does not automatically mean that the child did not make progress. As a parent, you have to think about this and decide which one you think it is. And then you request a meeting to ask for IEP evaluations, revised IEP goals, or revised IEP SDIs. Have all the area of need been identified by evaluations? Are the current present levels used to write those goals accurate? Read your Present Levels section of the IEP and request IEP evaluations if necessary. Were the goals appropriate based upon expected progress in a year? None of us has a crystal ball, but you know your child best. Are the services appropriate in type and amount? Ask for a phone call with your child’s service provider in this area. Get their opinion. Were the services implemented as they were supposed to? You may need to implement a home-school communication log to facilitate this. Was the program/curriculum they used evidence-based and was it implemented with fidelity? Ask what they are using. They look it up online to see what the publisher’s protocol is. Also consider other factors like illness, attendance, placement, behavior etc. Whatever answers you come up with for your child will dictate how you should proceed. Not meeting goals is not an automatic violation of an IEP. This came up the other day in our Facebook group. A child is not meeting IEP goals which then resulted in lots of “File a complaint!” from parents. A goal not met doesn’t automatically signal that a child was denied FAPE. However, it should trigger a thorough investigation as to why a goal wasn’t met and what should be done next. You might find that the lack of progress is due to the school not following the IEP. If that is the case, by all means, file an IEP complaint of some kind. And, you may want to file a complaint based upon insufficient progress monitoring. Good luck and I hope this helps. I offer a free 5-day IEP Troubleshooting Guide that can help you too. Sign up below to receive it. What if I don’t want that IEP Goal? « Which appliances use the most electricity in your home?